“We are impressed by Orchid’s strong management team and attractive position in the growing orthopedic implant market, and look forward to supporting the company through its next phase of development. Orchid has a unique set of implant manufacturing capabilities across product categories, and is a true innovator simplifying and improving its customers’ supply chains. We are fully committed to supporting Orchid’s growth strategy in close partnership with management,” says Jonas Agnblad, Partner and Co-head of Healthcare at the advisor to the Nordic Capital Funds. 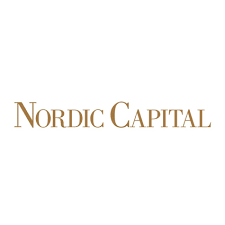 “We are very proud of what we have achieved in recent years and are very excited to continue this journey with Nordic Capital as our new partner. We are building the Orchid platform with a focus on satisfying our customers with a broad array of innovative implants procedure solutions from a global network of operationally excellent sites. With a great partner like Nordic Capital, I am confident our progress will only accelerate” says Orchid CEO Jerry Jurkiewicz.